Allow us to demystify the web and breakdown the tech-talk with the answers to our most frequently asked website design Perth questions. We hope that this FAQ of web design Perth helps make things clear and you have a stronger understand of our website packs. If you’re ready to proceed with your project, please fill in our online planning form, or contact us. We are really looking forward to working with you. A website consists of multiple webpages. Each webpage is directly accessed from the website menu bar (or navigation). 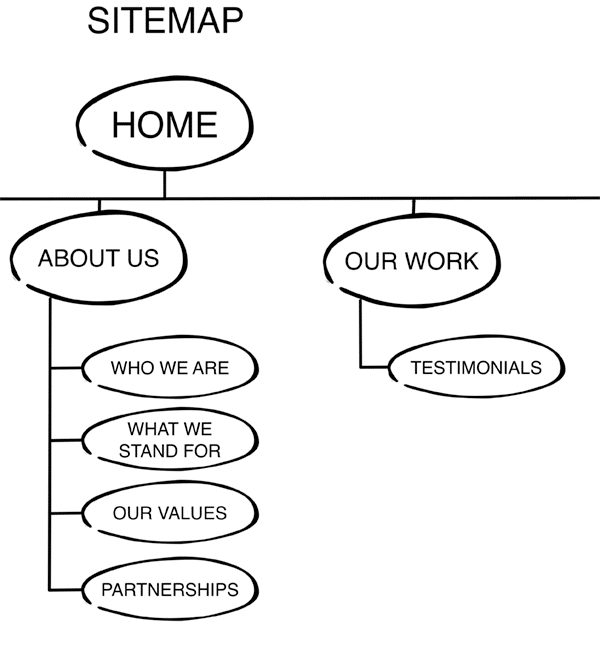 Each node of the example sitemap directly represents a website page. The word(s) typed into a search engine such as Google or Bing by a potential customer to find the products and/or services you advertise on your website. 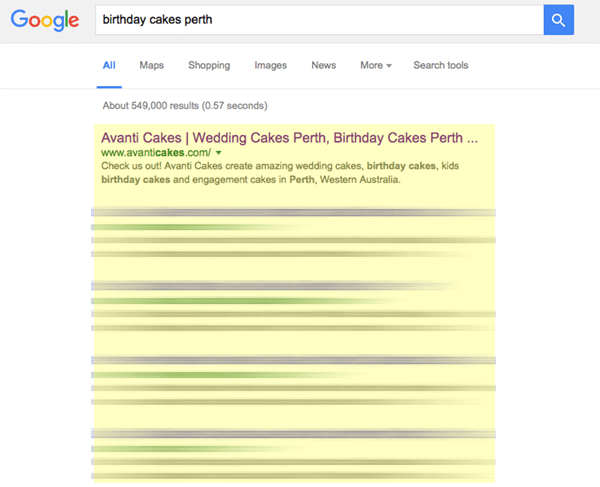 Using ‘Birthday Cakes Perth’ as an example, this keyword/search term would be added into written content and the areas of a website that search engines first scan when they are adding sites into their index and rankings. Each website pack comes with a limit of keywords you can choose. The limit is applied to ensure that the overall campaign is potent and not diluted by too many keywords. Are you enjoying these Website Design Perth FAQs? Then please give us a like on Facebook. What is reviewing website content? As the subject matter expert and holder of your business knowledge, you will need to create an A4 page of written content and imagery to be included in each website page. 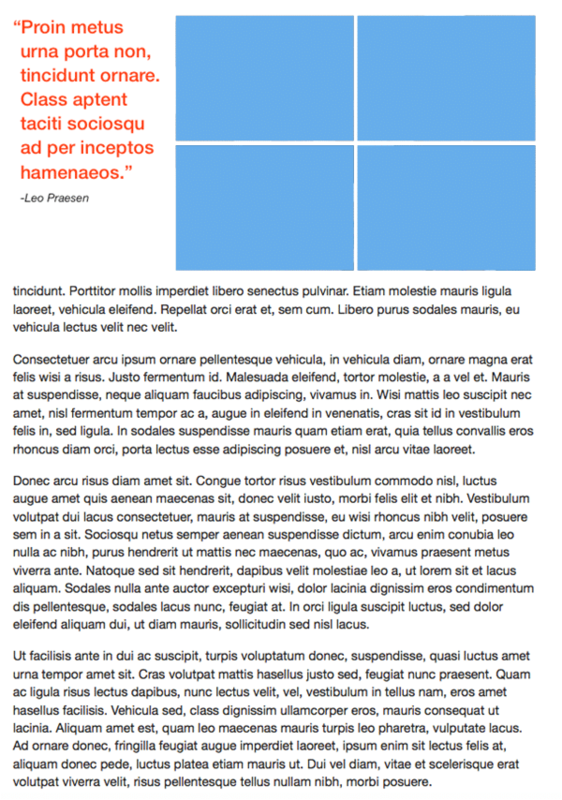 For example, if you choose a Tiger Warrior website pack, you will need to prepare 10 x A4 pages of content. The content is then reviewed by TECHTIGER to ensure it is both user friendly and search engine friendly. As an Online Marketing company, we use a lot of technical language. We have had the content on this website reviewed by a representative from the Media industry, to ensure the content can be understood by people who do not have a technical background. We carry out the same task for our clients. Content modifications will be made as part of a quality assurance process, but any changes will first be forwarded to you for approval prior to publication. What do you mean by fully responsive? Just in case you bypassed the home and services pages, below is a stronger explanation of what we call in the web industry “responsive design”. TECHTIGER uses the same set of website instructions for laptops, desktops, smartphones and tablets. This means that the website layout will adjust accordingly for the device the website is being viewed on. The website instructions “respond” depending on the device, and modify the website usability experience. On tablets and smartphones, there is no need for pinching, prodding and zooming. The small buttons and text of a website that display on a desktop computer or laptop are replaced with bigger fingertip friendly sized buttons on a tablet and smartphone for ease of use. The overall website can also be condensed into a single column, which results in the user having to scroll through content. Scrolling is not considered as a hurdle. Popular social media apps such as Facebook and Instagram are an endless stream of scrolling. If users want to read more, they will continue to scroll. 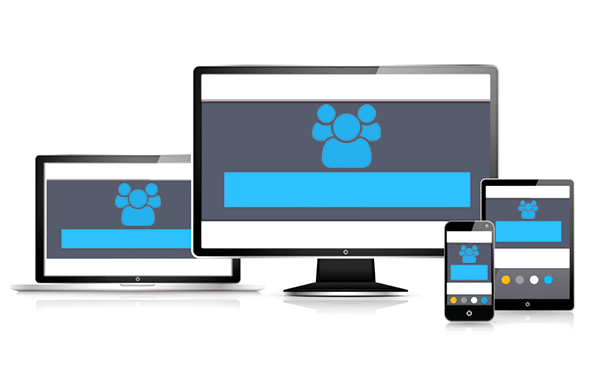 If you have any further questions about responsive design, contact us or view our portfolio for examples. What do you mean by call-to-action? A call-to-action is a website element that is used to target your customers’ decision triggers by encouraging them to carry out an action. This site is full of them! This is a call-to-action, click now! What do you mean by banner animation? The banner on a website is displayed only on the homepage. The banner is used to visually represent products, services, specials, discounts and calls-to-action. Did you see the beautiful big Tiger banner on our homepage? 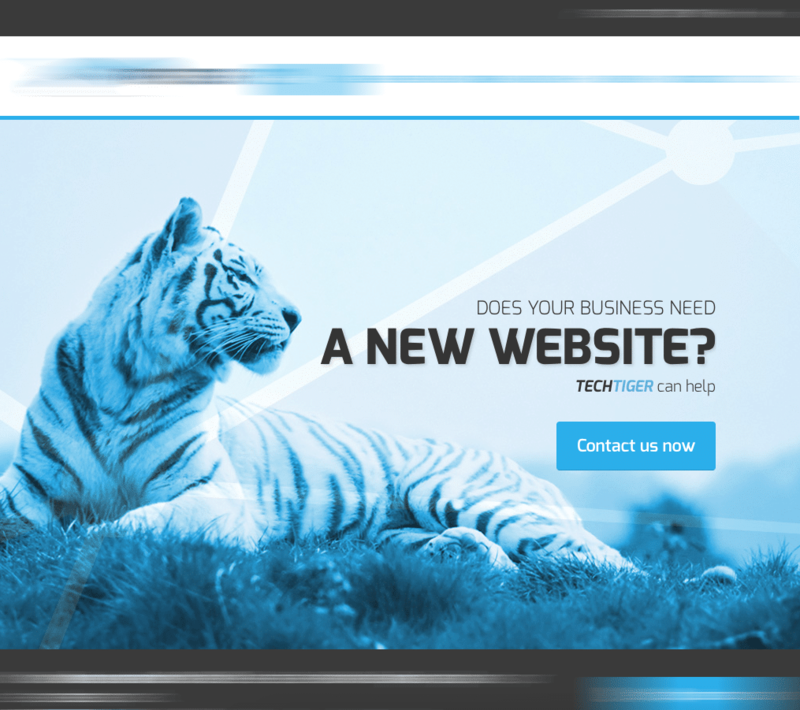 This banner has two slides, one that welcomes the end user, the second slide is a call-to-action to contact TECHTIGER for website development. Each slide can have a different image, in our case, we just love the Tiger in our banner. Our website packs allow for the inclusion of multiple banners, depending on the option you choose. What do you mean by a Google Map listing? 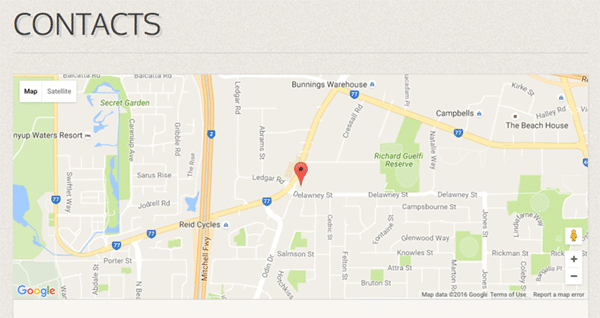 Included on your contact page is a Google Map that pinpoints your office / branch locations. Google Maps has various uses, including GPS, which is helpful for potential customers who are on the road. We will also make sure that any existing listing on Google is up to date for your business. What is an image gallery or carousel? These are interactive point and click galleries of images. Your potential customer can flick through images of a product / service using intuitive buttons. What do you mean by embedded video? These are videos that sit within your website content. You will need to supply the video file to TECHTIGER and we will create a YouTube channel for your company and embed the video on a page of your request. What do you mean by monthly SEO? SEO is Search Engine Optimisation. SEO is all about getting a strong presence in Google and Bing organic rankings. 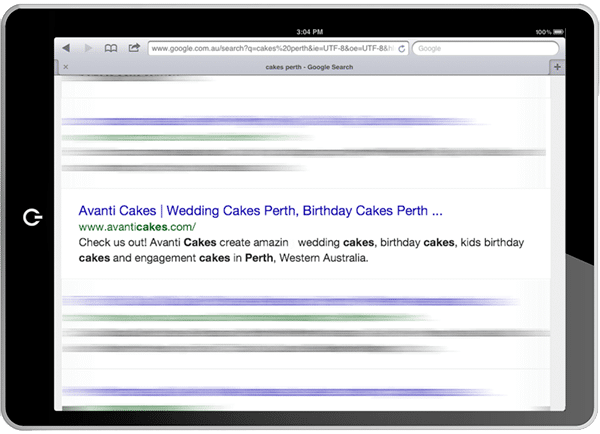 Organic rankings are shown in the main column of search results. These results appear in order based on their reputation and crediblity of being accurate and reliable sources of information. This reputation and crediblity is determined by secret formulas (also known as algorithms). Google and Bing release very limited information about their algorithm updates. TECHTIGER and competing web design agencies anticipate these algorithm updates and make changes to our client websites in order to stay ahead of the game. TECHTIGER spend time each month on all of our client websites to ensure they are compliant with the algorithm updates. We also provide a report each month demonstrating the performance of your website. Q: Why do we include SEO in our website packs? A: Building a website and not applying SEO is like organising a party and not inviting anyone. Imagine SEO as the medium for inviting visitors to browse your website. What do you mean by monthly content updates? A portion of your monthly investment is put towards updating any content initially provided by you during the build phase. This text and imagery can be updated at the discretion of TECHTIGER. We will need to make sure that any content updates you are suggesting do not negatively impact your Search Engine Optimisation. Chopping and changing content can impact the way in which the search engines view the crediblity of your website. The updates and additions are restricted to words and pictures only, at a maximum of 1 A4 page, per website page. Addition of any functionality outside of content will be quoted separately. What is ongoing hosting and support? Hosting and renewal of your primary domain name, website and email accounts. Fielding any questions or support tickets raised in regards to your primary domain name, website or email accounts. Can I downgrade my monthly subscription? If you opt for a 20 page Tiger General website and only need 5 pages optimised for SEO, then your monthly investment will be reduced from $330/month down to $99/month.